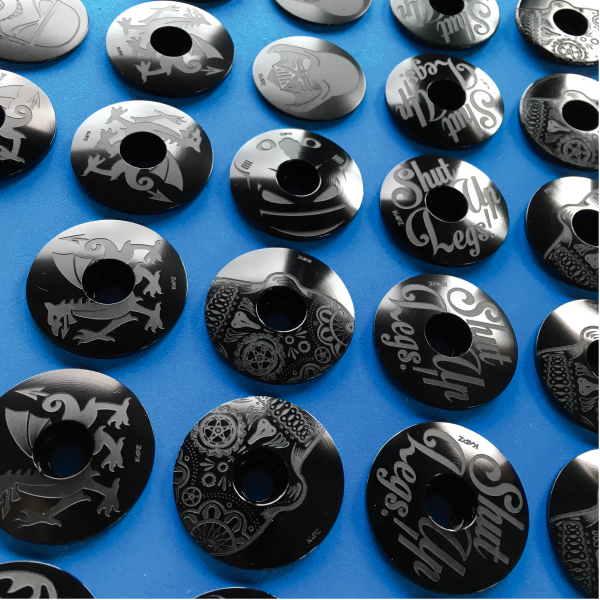 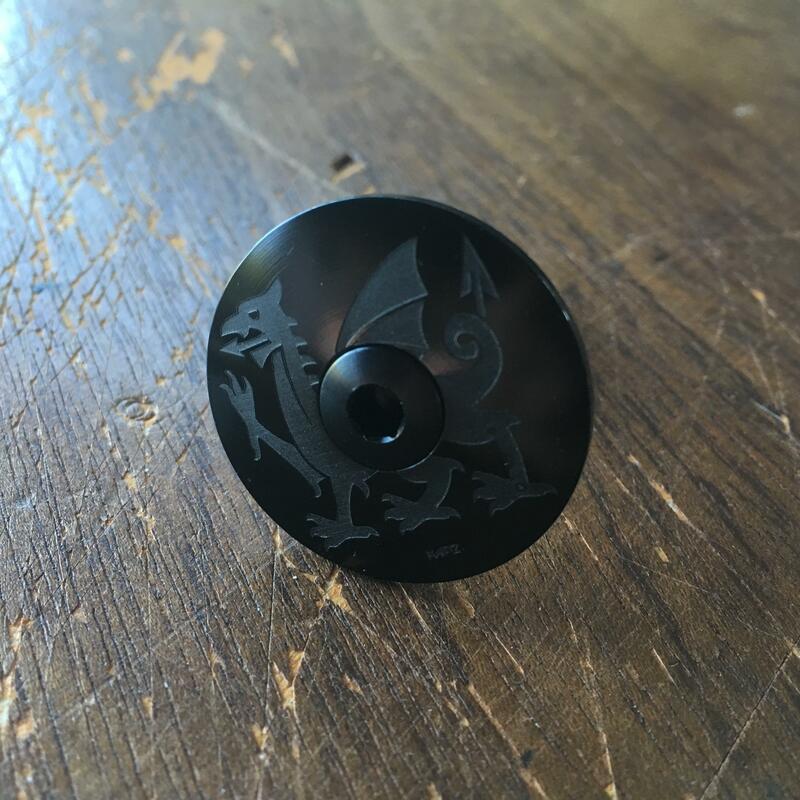 Here we have the stealthy black anodised, deep-etched, Welsh Dragon headset cap and bolt. PLEASE NOTE - These caps are in production - will be shipped around the 22nd February. 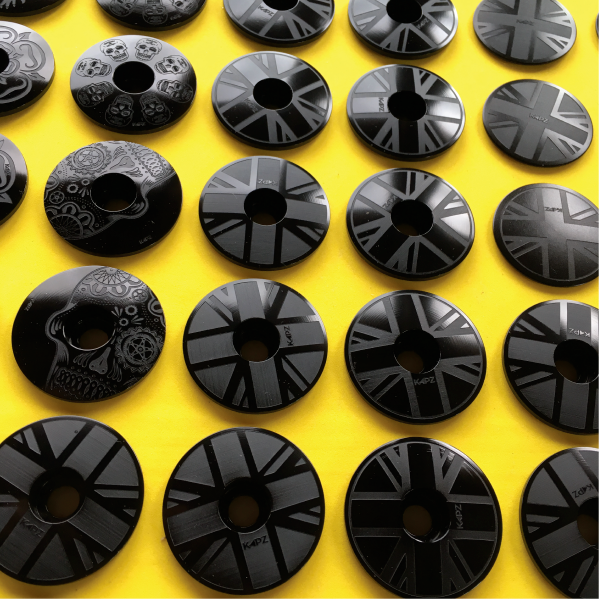 We make them in batches every 4-8 weeks - please be patient or get in touch if you need it urgently.